St. Martin's Griffin, 9781250018625, 448pp. Secret wishes, hidden heartaches and painful truths. Everyone has them—but some secrets are harder to hide. We usually tell our best friends everything. Our crushes, our embarrassing stories, our secrets—but sometimes there are truths so deep and dark that we can't tell anyone. Not our parents, not our sisters…not even our best friends. 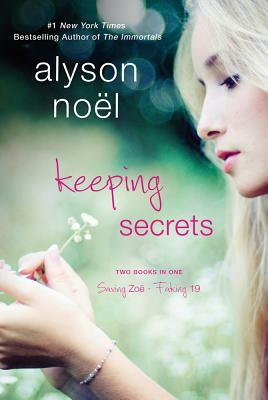 Some secrets are so unspeakable that we keep them safely locked away so no one will ever discover them. But what happens when they become more than you can handle alone? In these two magnificent novels, two girls can't tell anyone about the terrible burdens they carry. But as they're about to learn, it's not our secrets that matter most—but those who still love us once they learn the truth.